To answer the question, what is a good hunting bow, you have to understand bowhunting first. 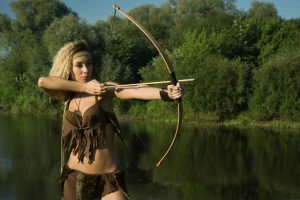 Bow hunting originated thousands of years ago, as a means of survival and procuring food. It was the weapon of choice in prehistoric times for taking down animals. Today, however, no such need remains, but now it is taken up by many, who love being outdoors, as a hobby. In fact, it gained so much popularity that it became an Olympic sport. Today, there are many laws governing this activity, and it is not legal in all parts of the world. 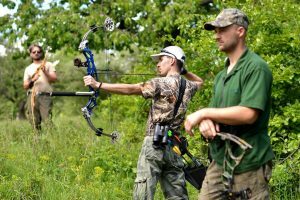 If you have an interest in this sport, you need to start off by getting your hands on good quality equipment comprising of the bow and the arrow, the bow having gone through a lot of modifications in the modern age. To answer this, we need first to know its parts and the types of hunting bows that are commonly used. Each bow has two limbs, upper and lower, which are highly elastic and made of wood. Nowadays, they can be made of fiberglass or laminated wood as well. The riser is the part where you grip the bow and the point where the two limbs join. It helps you aim properly and balance the arrow before you fire it. The stabilizer is a long stick that holds your bow steady and gives you a better and more accurate shot. It is a recent addition and is used in the contemporary archery events. The string is attached to the limbs and makes up an essential part of the bow. It should be extremely elastic, flexible and strong. It forces the limbs to bend under pressure and fires the arrows. How the Hunting Bow Works? 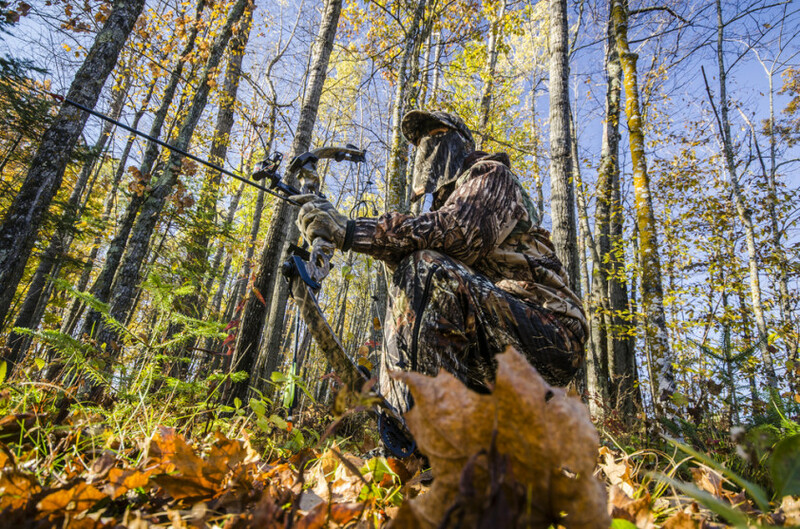 If you are thinking of taking up bow hunting as a sport, then you need to know the basics first. It is a game which requires great skill as well as a good knowledge of the weapon. If you wish to know what is a good hunting bow, you should have an idea of how it actually works. It all depends on how bendy the limbs are and how much elastic recoil the string has. When you pull on the bowstring along with the arrow, it creates tension in the string. As the string is drawn, the tension projects weight and energy to the arrow. The more you stretch the string, the more weight will build up. This force is then released as you fire the arrow. The amount of weight accumulated is also dependent on the strength of the archer. The more your muscles are developed, the more you will be able to draw the string backward, ensuring that the arrow travels a greater distance. These days there are some hunting bows that are commonly used and are preferred over others. In your quest to find what is a good hunting bow, you must know the unique properties of each type. The longbow is also known as the straight bow in the archery circles. 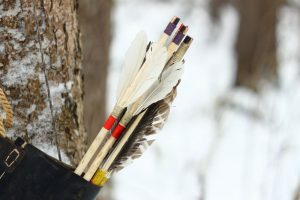 It is the traditional hunting bow that hasn’t changed much over the period of thousands of years. Because of this reason, it lacks the many add-ons that other bows have including a cam and cable set up. 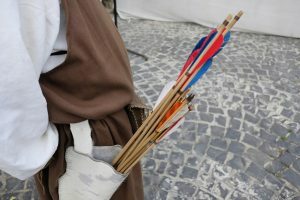 If you are a novice in archery, the longbow is not the one you should start off with considering that its limbs do not arc backward that much and can be difficult to use. But if you are a person who loves challenges, then you should definitely give it a try. These are semi-automatic bows which reload on their own. You do not even need to pull the trigger. They are smaller than the longbows, and this gives them much more agility. They prove to be a good option for the beginners. The compound bow comes with a cam and an axle at the end of each limb. The cams are discs which act as wheels on which the string is pulled back, the whole thing working like a rope on a pulley. These appendages enable the limbs to be pulled further back and adds more force. It is very popular among professionals, as it provides powerful, long-range shots. The recurve bow is very similar to the longbow but has curved edges. These prove to be helpful in keeping the string in its place for a longer time and result in faster shots. Like the longbow, its draw weight is not adjustable. Its power is less, and the tension on the string is much easier to handle. 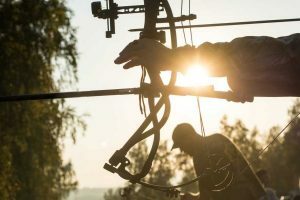 If you have decided that bowhunting is the outdoor activity you need but you have had no previous knowledge of the equipment, then we have provided you with the necessary information to make an intelligent decision. 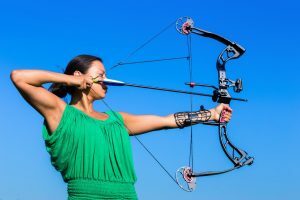 If you are a beginner and are willing to invest your time in learning how to aim and draw, a recurve bow or a longbow will be your best friend. You will learn to shoot with much more accuracy and in good form with this bow. 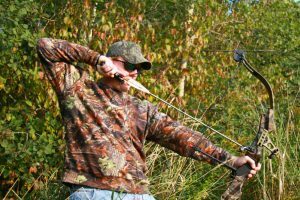 If you want to learn fast with better results, you should go for a compound bow. On a budget? No need to worry, as second-hand gear is available. However, we recommend that if this is the case, then you go for a compound bow, and get the add-ons later on. This strategy will prove to be less expensive, and it will save you from buying low quality and ill-maintained equipment. It is also advised that you find out the level of your physical fitness, so that you get a hunting bow that matches your body type, and is more in sync with you. Keep in mind the draw length and draw weight of the bow you select for yourself. Now that you know what is a good hunting bow, waste no time and get going on your adventure! 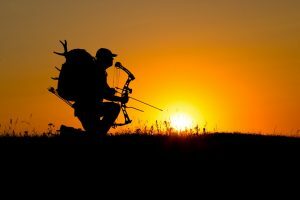 Beginner’s Guide: How to Start Bow hunting How to get started with bowhunting? Tips on Selecting a Great Hunting Bow What size Recurve bow do I need for bow hunting?